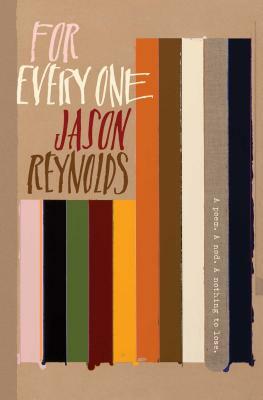 Jason Reynolds’ For Every One is for anyone who’s irrational, untamable passion has ever needed company and a place to exist. Originally written as a letter, for Reynolds himself during implausible times when a future seemed barricaded, he now shares his personal “poem in form only” with the world as solace to fellow dreamers. Through his pinpointing words and lyrics, teh story takes on the struggle of satisfying life’s purpose. Reynolds validates both the uncertainty and the vitality of chasing an elusive goal. For Every One is a tome to keep in your back pocket while guided to who-knows-where by your aspirations. Award-winner Jason Reynolds explores the dangerous art of pursuing your passion in his new book, For Every One. He convinces you that the dreams inside you aren't crazy or foolish--they might change the world. And, don't miss his groundbreaking book, Long Way Down, optioned for a movie with John Legend as a producer!